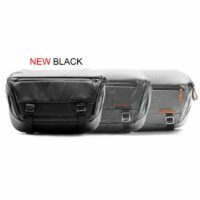 Shoe Pouch จำเป็นต้องใช้กับ Travel Backpack 45L เท่านั้นหรือเปล่า? 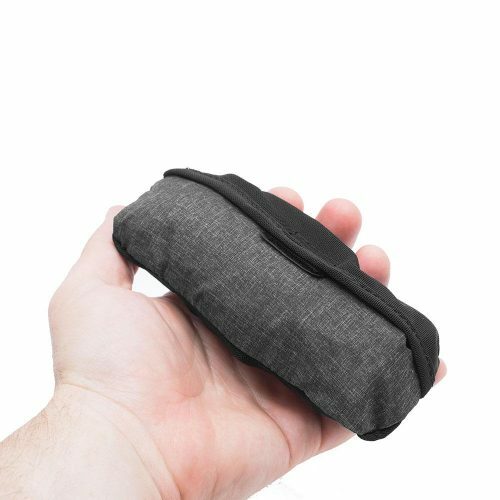 [expand title=”English Version“] Strong, ultralight, and ultra-packable, Shoe Pouch provides basic storage for shoes or clothes. 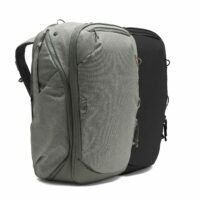 Works great with any suitcase or bag, and sized to fit perfectly into any bag in the Peak Design Travel Line. Uniquely patterned from a single piece of self-healing 70D nylon, the Shoe Pouch weighs in at a feathery 48g. 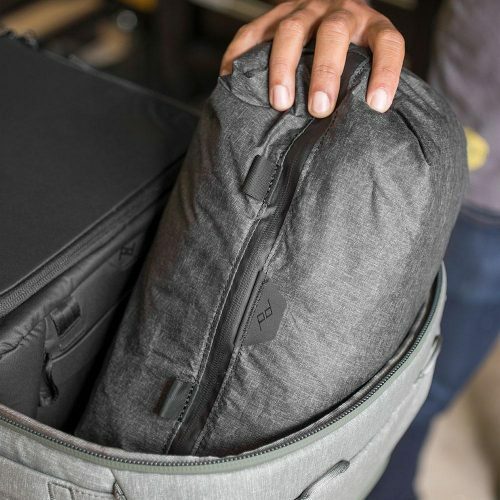 When you’re not using Shoe Pouch, stow it in the integrated storage pouch. 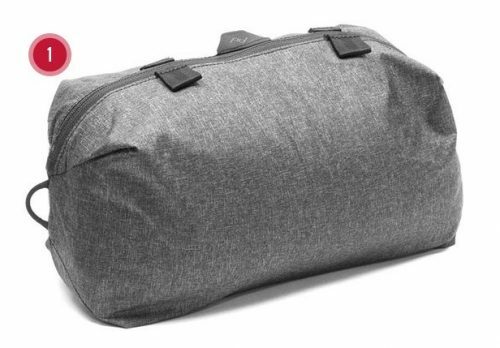 A perfect little bag to have on-hand in case you need more storage or organization mid-trip. 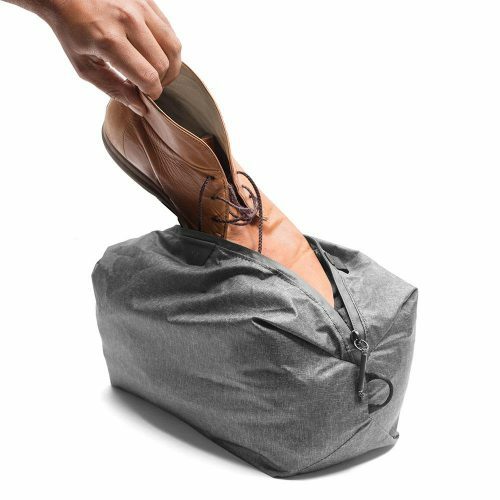 Typically fits 1-2 pairs of shoes, depending on size. MATERIALS : 70D Nylon and poly melange creates a self-healing exterior fabric. 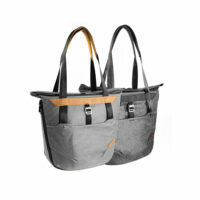 Woven nylon webbing. Hypalon. 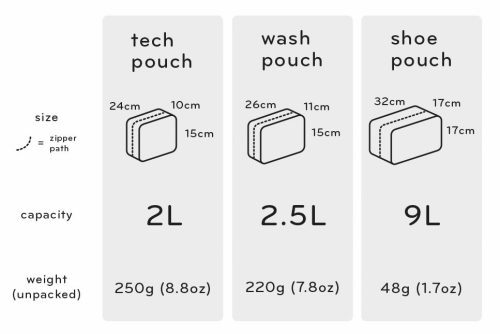 THOUGHTFUL DESIGN : Pouch holds 1-2 pairs of shoes, dependant on the size. 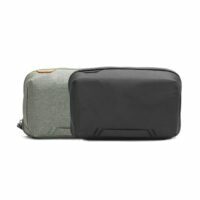 Integrated storage pouch included.